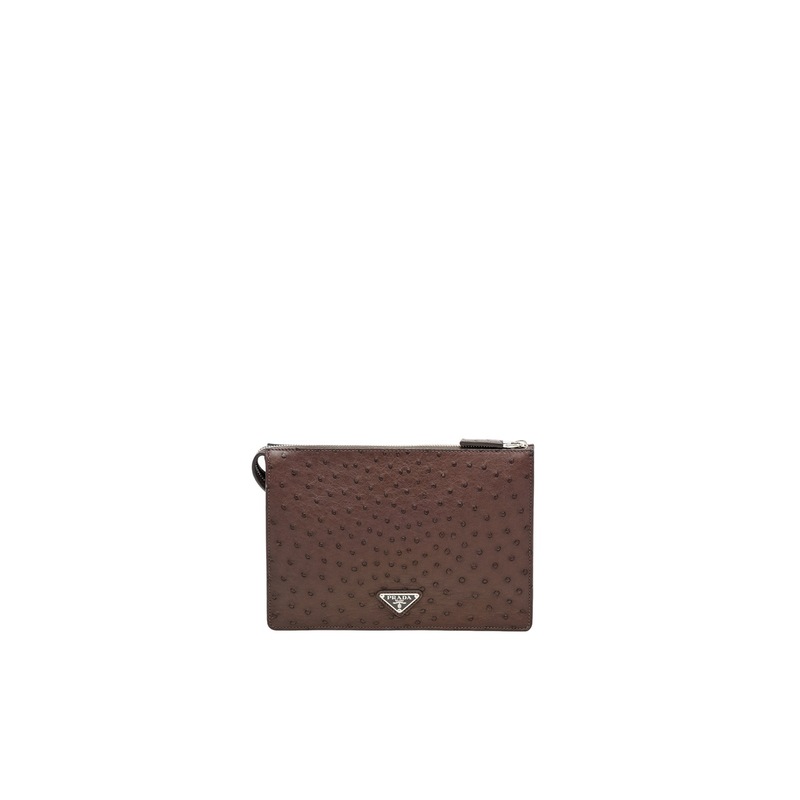 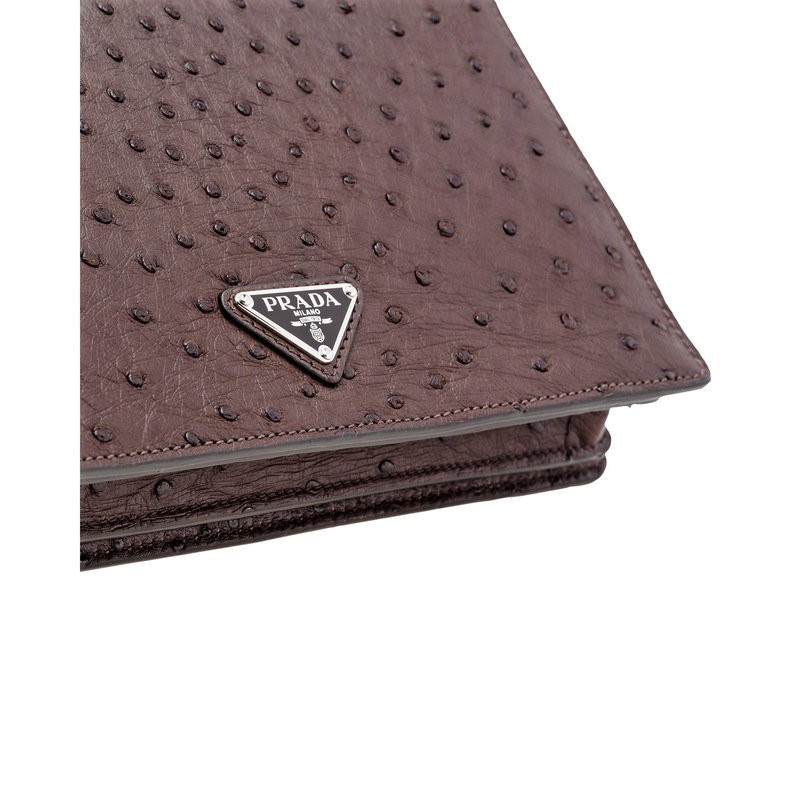 A bag defined by the characteristic texture of the ostrich leather and the triangular Prada logo. 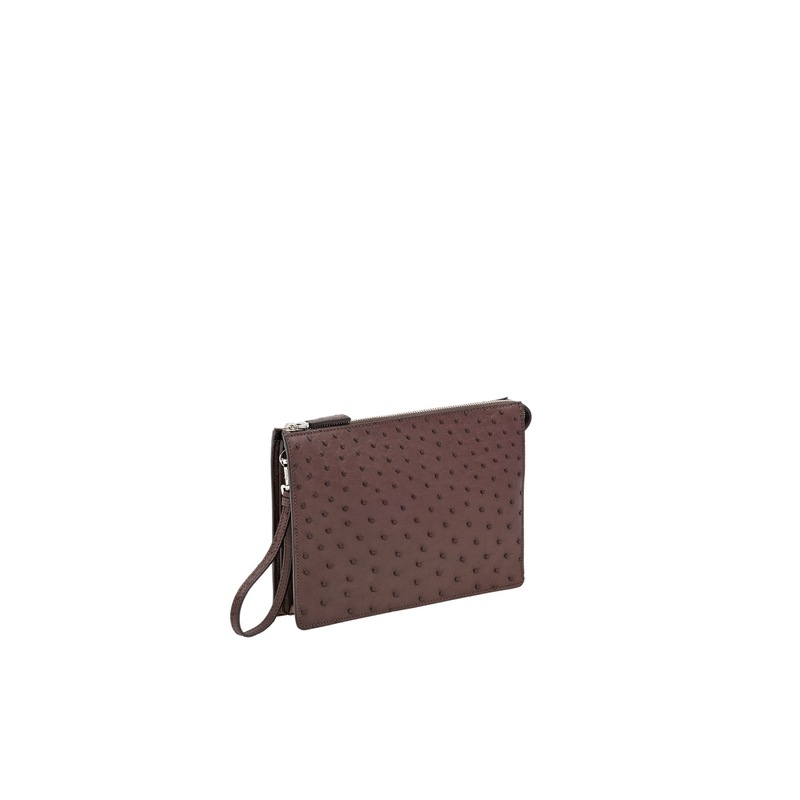 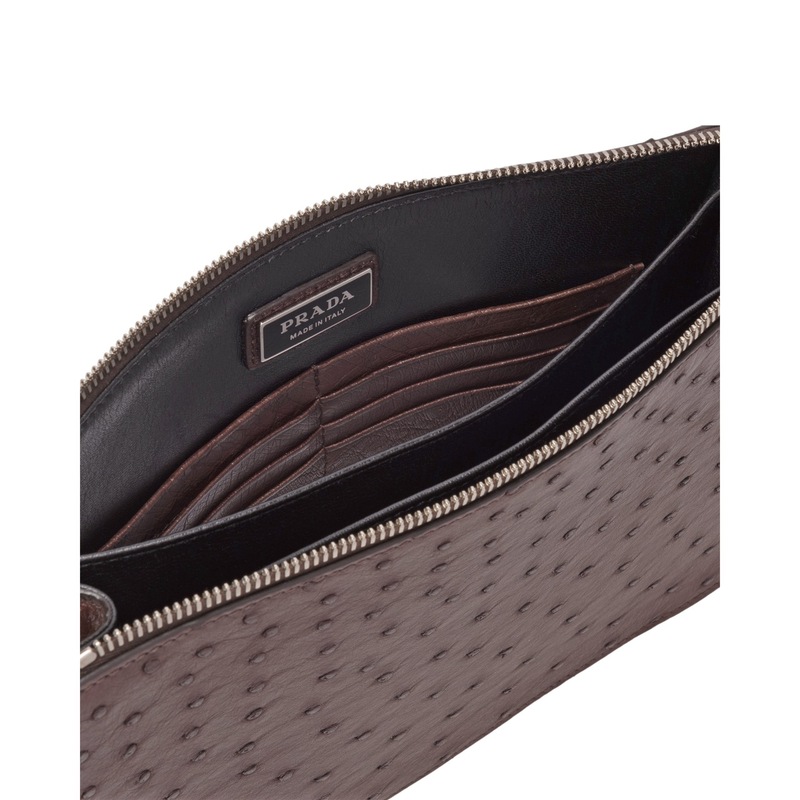 The zipper opens onto three Muflon leather lined compartments. 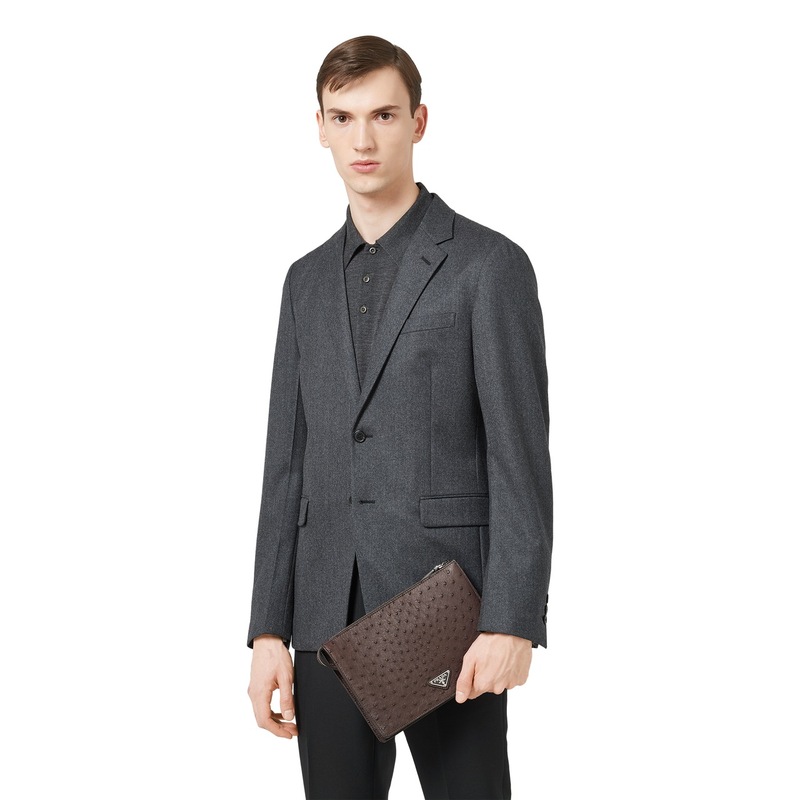 There is a detachable wrist strap.